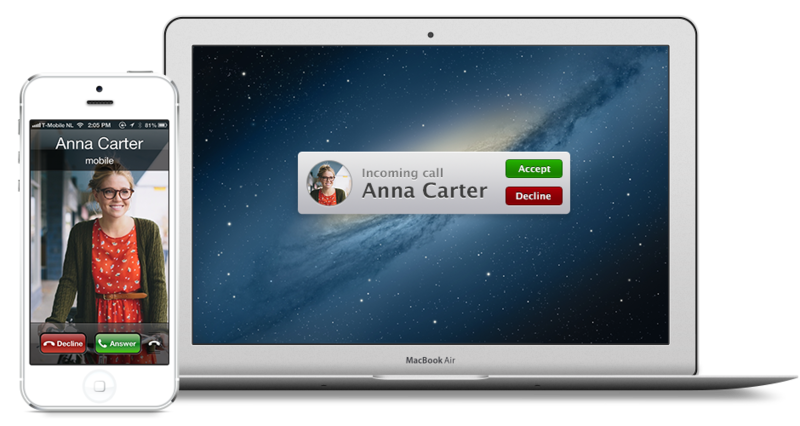 Dialogue brings you handsfree calling through your Mac. 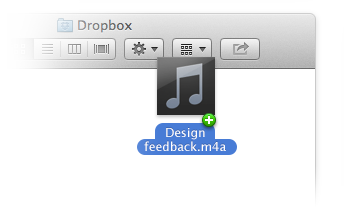 Never forget your client's feedback or an assignment from your boss. Dialogue lets you record your conversations to play them over and over again. At this moment you're not able to record calls due a bug in Mavericks. Apple is working on a fix. Read some e-mails about the bug. Dialogue is integrated seamlessly with your Mac. It's there just when you need it. 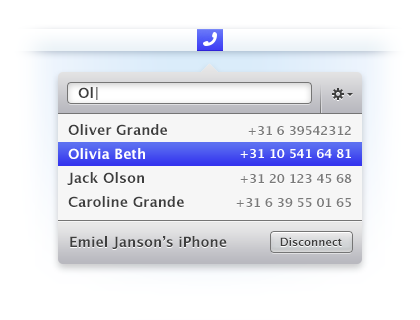 And because Dialogue is always in your Mac's menubar, you can make calls in a split sec. 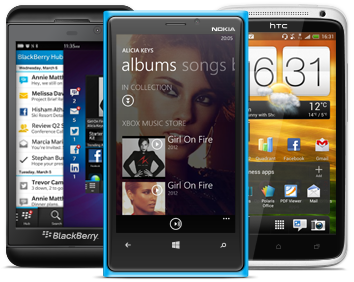 * Is your bluetooth 2.0 phone not compatible with Dialogue? Contact us, so we can talk about a refund. For a good and stable audio quality, you need to use a headset while making phone calls with Dialogue. We're using the Apple EarPods. Fixed in version 1.2, now available. Built by Zebraa (Emiel Janson) + Jelle Ages and some overwhelming Obviousmatter power.